"Three dimensionalize your creative ideas with Sketchup Pro 2014." If you are working in the design industry, you won't go a day without seeing three dimensional work. 3D design skills are some of, if not the most important skills for you to have. You can start developing those skills with Google's SketchUp. SketchUp Pro 2014's help section is very helpful. If this is your first time using this application or any 3D modeling application, you should definitely start there. There are also may helpful blogs and videos online that you can use to assist you as well. 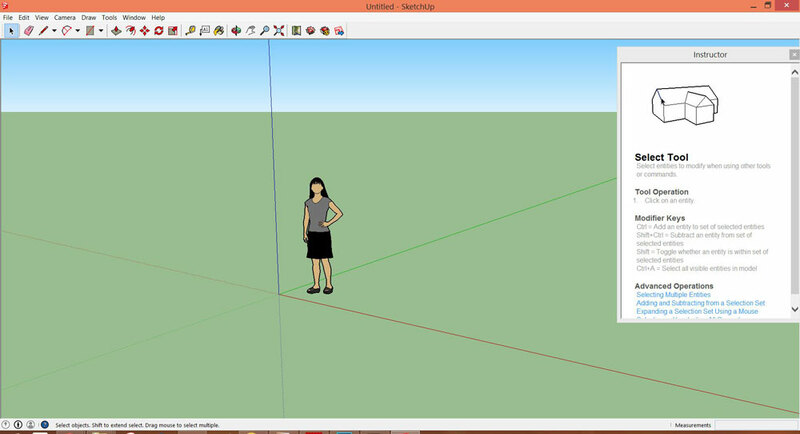 SketchUp Pro 2014 is a very useful application. You can use it to create simple exterior designs for houses, corporate buildings, shops, malls and shopping centers, monuments, and so much more. Or you can get very detailed and design small or complex objects as well, such as a modern timepiece, or a french salt shaker. "If there is a will, then there is a way." Anything that comes to mind is doable utilizing a combinations of tools in Sketchup. With this new version of SketchUp, Google has provided some much appreciated additions, fixes, and new features. The new Model geo-location with Google Maps brings Google Maps to SketchUp which allows you to add geo-location to your model in an easy and simplistic one app process. Google also added color imagery and made terrain more accurate. Now the snapshot you get when you add a geo-location to your model includes 3D terrain data that's more accurate and, for the first time, it will include aerial imagery in color.